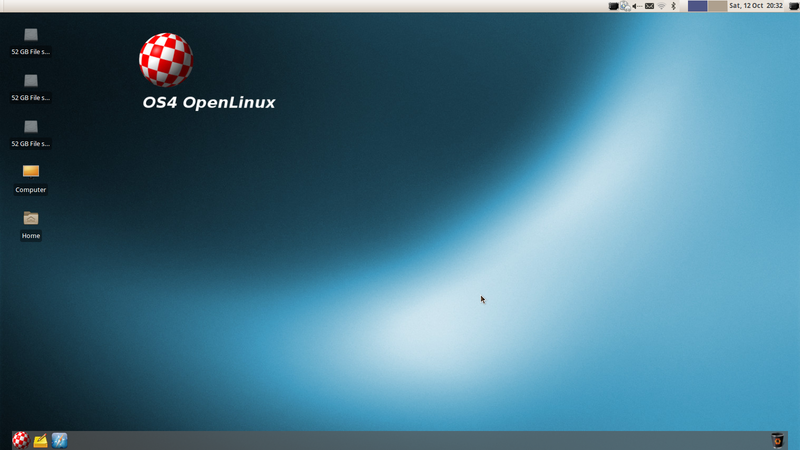 OS4 is a custom Linux distribution compatible with Ubuntu and Debian Linux. It aims for ease of use and user friendliness. The above quote was found on the OS4 website and clearly outlines the intentions of OS4 and it is therefore the basis on which I will writing this review. 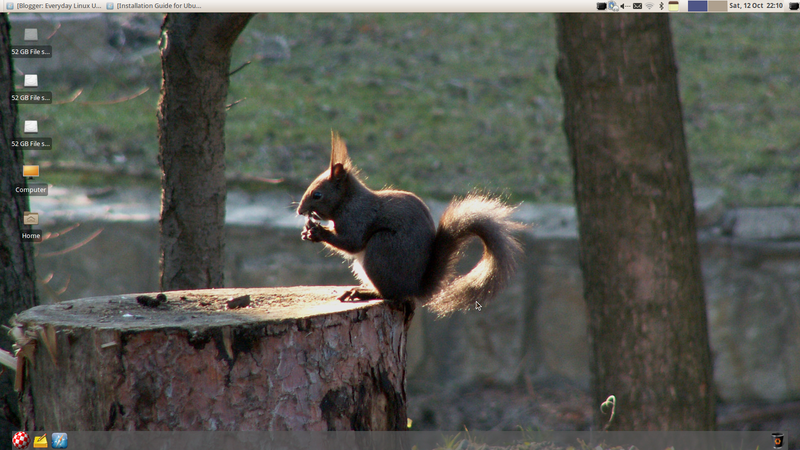 The version of OS4 that I am running is version 14.02 with the XFCE desktop environment. Please consult this page for the full system requirements of OS4 OpenLinux. Click here to download OS4. You will notice that if you click the above link that you are shown a donation page. You are encouraged to make a donation to help the project run but there is no obligation to do so. If you prefer you can buy a USB drive with OS4 installed. It costs $20 in the form of a donation. Finally you can also buy a DVD with OS4 installed from OSDisc.com. Installing OS4 is simple enough and if you have ever installed a Ubuntu based version of Linux before then you should have no issues at all. If you have downloaded OS4 then you can either burn the ISO file to a DVD using disc burning software or you can use a program called UNetbootin to burn the OS4 Linux ISO to a USB drive. 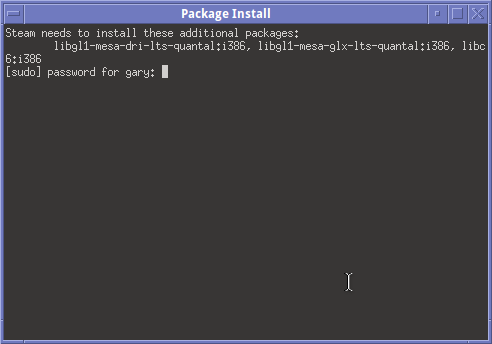 For a full install guide refer to the Ubuntu installation guide. 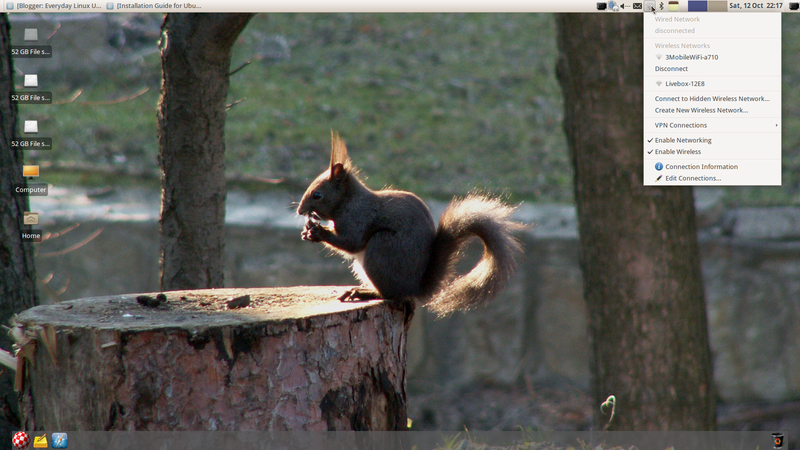 OS4 is relatively quick to boot and starts up with a fairly bland looking blue desktop with 2 XFCE panels. 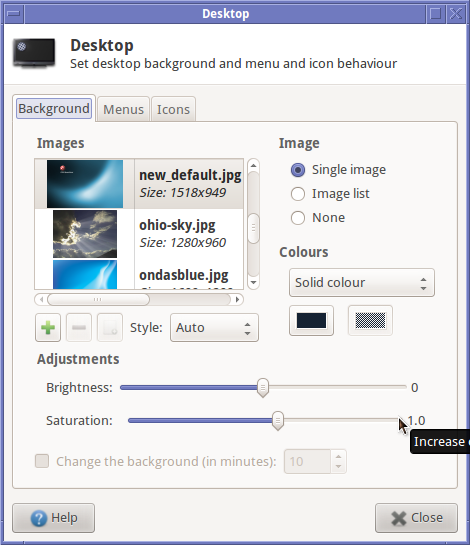 At first glance it is hard to see whether there is anything different from Xubuntu 13.04 apart from the fact that the bottom panel has a separator that makes it bigger than Xubuntu’s bottom panel. To be honest there isn’t a huge difference between Xubuntu and OS4. In OS4 the menu is on the bottom panel instead of the top panel and is defined by the OS4 logo which is a red chequered sphere. The other items on the bottom panel include Tomboy Notes which is a sticky note type application and a web browser icon. On the right hand side of the panel is an icon for the waste basket. As OS4 uses the XFCE desktop and as it is based heavily on Xubuntu you can follow this guide for customising the OS4 OpenLinux desktop. The quickest way to change the wallpaper is to right click on the desktop and choose desktop settings. There are a number of images to choose from or you can click the plus symbol and find an image on your hard drive. What I find amazing is that there are some really nice images included yet the one that is used for the default desktop is so dull. There are a couple of nice little touches. For instance if you click the icon in the top right corner you can see a list of all applications on all workspaces and you can instantly switch to the window you wish to go to without any of that Alt tabbing nonsense. I will save the best for later though. Connecting to the internet is as simple as clicking the network icon on the top panel and choosing your wireless network (or indeed wired if you are living in 1999) of choice. If your wireless network requires security information then you will be asked to enter it. To launch the web browser click the appropriate icon on the bottom panel. The default web browser in OS4 is Chromium. Those of you who like things to work straight away will be pleased to know that Flash works in OS4 without any fuss. 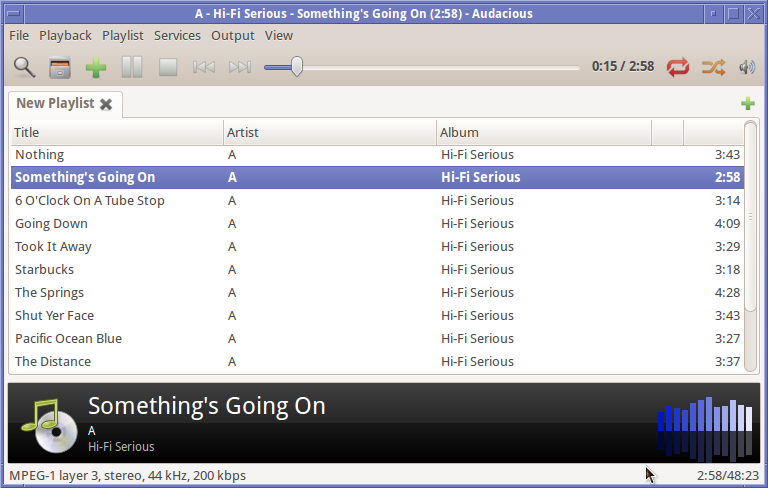 You will also be pleased to know that you can listen to MP3s without the requirement to install any further plugins. 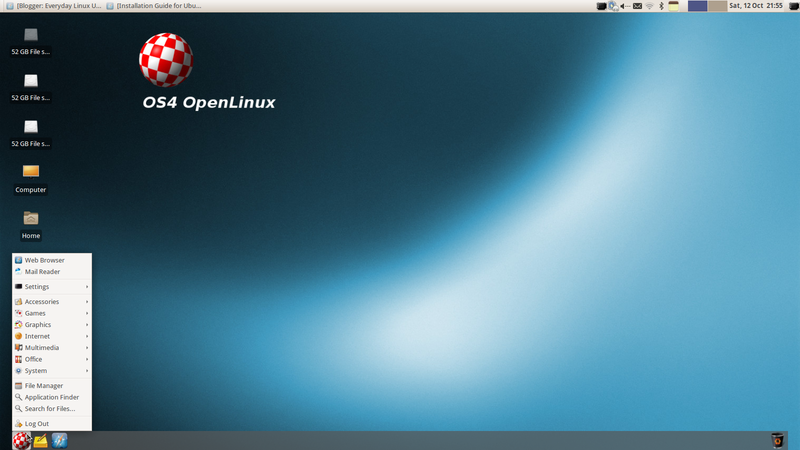 The applications in OS4 are the main thing that sets OS4 apart from Xubuntu. The office applications in OS4 are Abiword and Gnumeric. These are ok-ish for home use but you would be better off installing LibreOffice or using Google’s office suite. Multimedia applications include Audacious for playing music, audacity for editing audio and VLC for playing videos. As well as the Chromium browser there is a program called Claws which is an email client, Pidgin which is like MSN Messenger, XChat IRC and Transmission which is a bittorrent client. GIMP is installed for those of you who like to edit photos and images. The games section is full of the usual stuff like Mahjongg and Sudoku….. but hold on a minute, there is an icon for Steam. Unfortunately clicking on the Steam icon brings up the same issue as when I installed Steam within Ubuntu 13.04. The Steam installer basically says that I am missing various libraries. Clicking this link will take you to a forum which has various solutions for fixing Steam on 64-bit computers running Ubuntu based distributions. There is one more exciting application that I want to discuss but I am going to put this in a section of it’s own later on. OS4 states that it is a Ubuntu/Debian based Linux distribution. 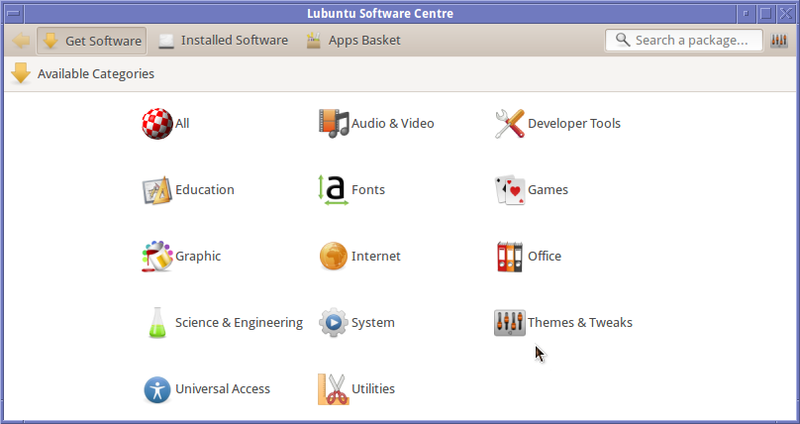 The chosen desktop environment is XFCE (which gave me the impression that it is in fact a Xubuntu based distribution) but the software centre is the Lubuntu Software Centre. I have to say that the Lubuntu Software Centre is actually very good and much more user friendly than the Ubuntu version. You can either search for a package using the search tool or browse through each category one by one. There are three tabs to the software centre. The first tab enables you to find and download new software, the second tab gives you a list of software already installed and the third tab lists software that you have selected for installation but not yet installed. To install an application click on it and press the “Add to apps basket” button. When you have selected all the items you wish to install, go to the “Apps basket” tab and click “Install Packages”. The best part about OS4 is the inclusion of FS-UAE Launcher and FS-UAE. 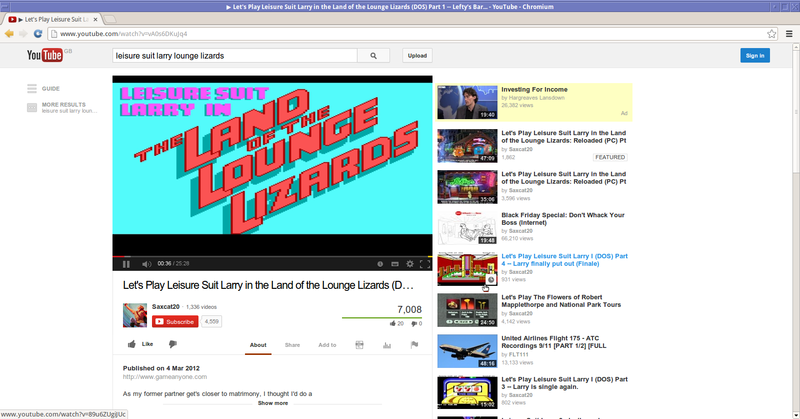 FS-UAE is a Commodore Amiga emulator. FS-UAE Launcher is a graphical user interface which makes it very easy to launch FS-UAE. The first things you will need are the Commodore Amiga Kickstart ROMs. Now these don’t come with OS4 and there are probably some very good legal reasons for that. In theory you need to own an Amiga with the Kickstart ROMs to use the software. (As a retro gaming enthusiast I do actually own a few Commodore Amigas so I had them to hand). You can pick up the Kickstart ROMs from here. If you are using Windows to download these files it is worth doing a virus scan. To pick up games ROMs for the Amiga you can visit FreeRoms. Be careful when downloading ROMs because there are some seriously disreputable sites out there. The inclusion of the Amiga emulator is by far the best thing about OS4 and I think the OS4 name comes from the fact that the last version of the Amiga operating system was also AmigaOS4. OS4 also used to be called PC/OS and so the change of name has to be significant. There is nothing specifically wrong with OS4. It works fine and now I have it on my laptop I will probably keep it for a while. It works pretty much the same as Xubuntu and because I really like Xubuntu I find it fits my needs perfectly. Is there enough that separates OS4 from Xubuntu? If Steam had worked on my 64-bit system then I would have said that OS4 is like Xubuntu but with the issues ironed out but because Steam failed with exactly the same errors as Xubuntu/Ubuntu then I would question whether the developers even tried the Steam option on a 64-bit system. The redeeming feature that gives OS4 an identity is FS-UAE. If you are a retrogaming fan then OS4 is great. You will be hard pressed to find another Linux distribution with a working Amiga emulator installed by default and even more hard pressed to find one with the FS-UAE Launcher which makes it easy to configure the emulator. If you love the Commodore Amiga and want to play all those classic Amiga games again then OS4 is perfect for you. If you couldn’t care less about Amiga emulation then all you are getting extra with OS4 is the inclusion of GIMP and a couple of different choices with regards to audio and video packages. It will also save you the trouble of installing “Xubuntu Restricted Extras”. Ubuntu 13.10 Saucy Salamander has been released. Read this article which highlights the reviews and articles that have been published for Ubuntu 13.10. Great information you have posted on OS4 OpenLinux – Lightweight Linux based operating system for the Commodore Amiga enthusiast which is informative for our knowledge point of view, when buying some acer products. Thanks for sharing. I have uploaded fs-uae to Debian unstable recently. 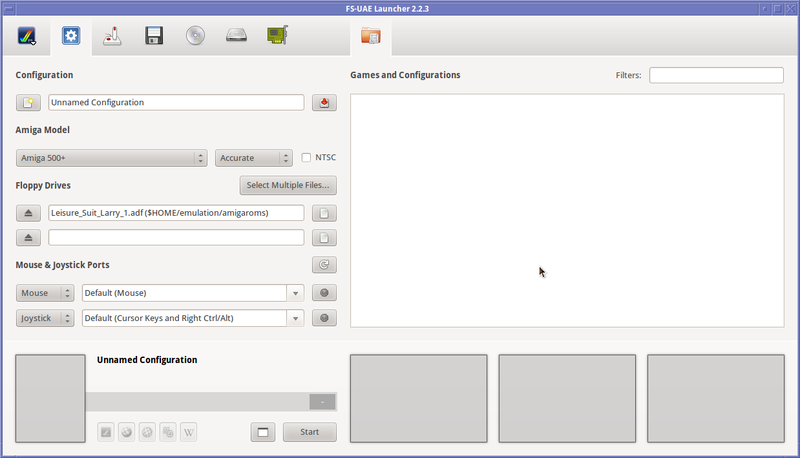 It will show up in Ubuntu and other Debian-based distributions in the following weeks :).